Participants in Sunday's Metro Health Grand Rapids Marathon have much to look forward to-a weather prediction of cool temperatures and sunshine, a course with lovely fall colors, running 26.2 or 13.1 miles AND a post-race buffet that includes free hot dogs! The hot dog grill is compliments of West Michigan Military Support Group. The group has been with the race since its inception. In addition to freshly grilled franks, the volunteers provide chips, coffee and hot chocolate. The food is provided without charge to both runners and families or friends waiting at the start/finish. According to Rena' Guttrich, one of the West Michigan Military Support Group leaders, tip jars are available and people are pretty generous. "We use the proceeds to help fund our November event, 'Operation Pillow Talk' which involves decorating pillows and sending them off to the troops," said Guttrich. "The biggest thing with the marathon is that they promote the charities they work with and provide space for us at the runner's expo on Saturday. That's great for a group like ours. We get to meet lots of families and people who are connected to military personnel," she said. 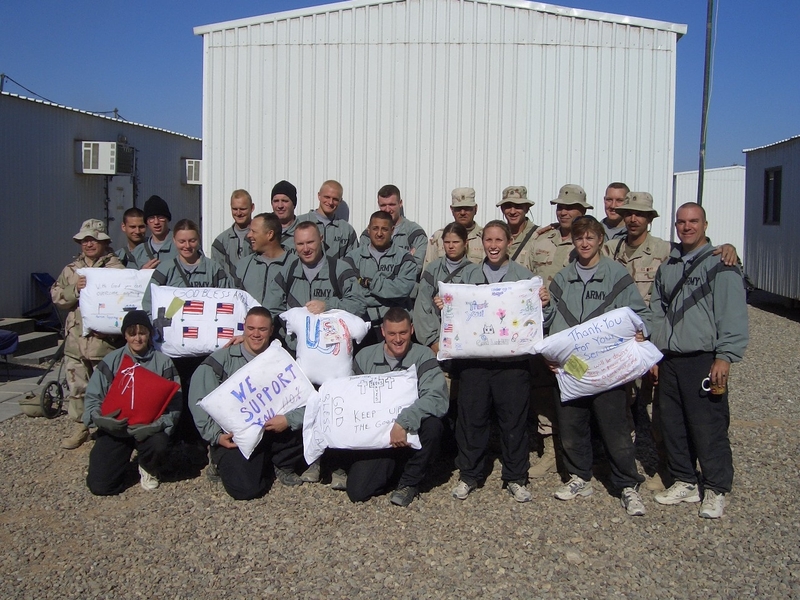 "We've connected with teachers and church groups who want to support our work and we've found people who didn't know we existed and have loved ones in the military." The donations from the tip jars helps provide financial support for Operation Pillow Talk because the group secures donated hot dogs, condiments, buns and paper products. Before the grill is fired up (around 10 a.m.) the group has donuts and coffee for people to nosh. "We have a huge grill that cooks 120 hot dogs at a time and we will have 12-20 volunteers from our group cooking, cleaning up and calling people over to have some food," Guttrich said. "I hear great things from the runners, they tell us that other races don't do anything like this. 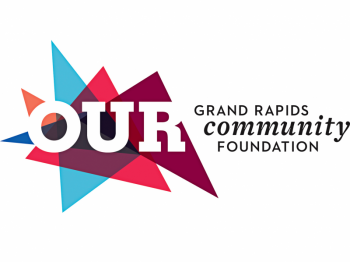 There's something more to the Grand Rapids Marathon than running a race and then leaving." The Operation Pillow Talk event (which the hot dog stand is supporting) is Saturday, November 7 at Woodland Mall from 10 a.m. to 5 p.m. People may stop by and write a message on a travel size pillow that will be sent to troops deployed outside the U.S. Pillows are considered non-essential items by the military. 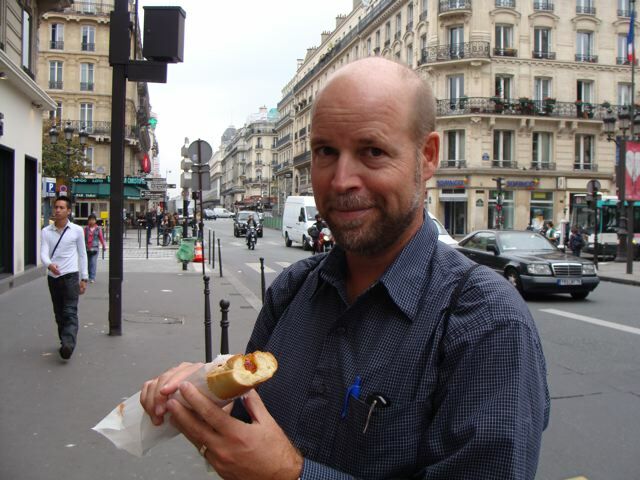 Above: GR 1/2 marathon runner Tim Penning enjoys a hot dog (in a baguette) in Paris.